A Belated Two Year Anniversary! Packs and Beyond is having a Garage Sale! DESCRIPTION: A lightweight NICE frame accessory that allows a wearer to better configure the lumbar pad on the Mystery Ranch NICE frame in order to adapt comfort levels and suitability for other worn equipment. The MEAN Pad has been kindly supplied by the team at Oneiros Valley for review. Due to real life constraints, such as the arrival of a wonderful, yet strangely screaming bundle of joy into my family, I have been unable to fully assess the MEAN Pad under actual field conditions, but have subjected it to significant distance walking. 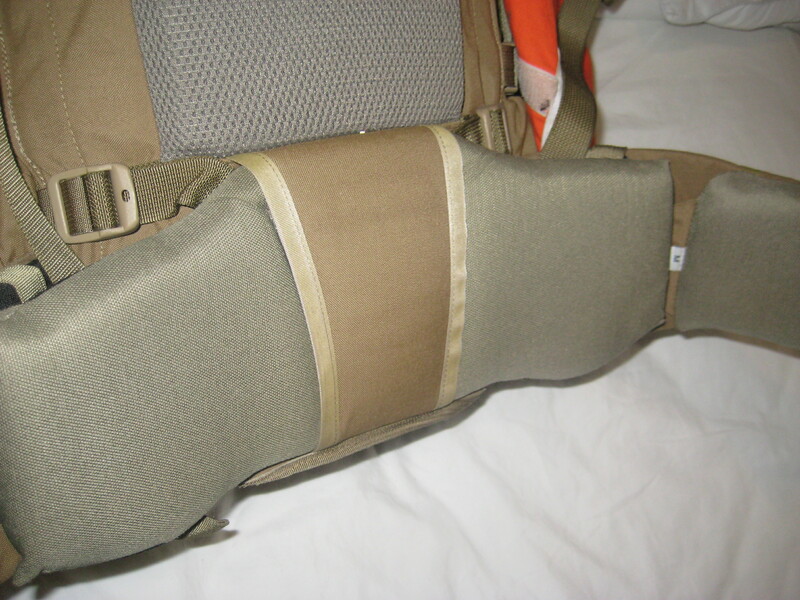 The MEAN Pad is a cushioned pad that is able to be attached to the existing lumbar pad on the Mystery Ranch NICE Frame in order to adjust the angle of the frame and the harness and how it interacts with the wearer. It’s a very simple cushion that echoes the size and shape of the existing lumbar pad on the NICE frame, but can be adjusted for thickness to suit the wearer. As per usual from the Oneiros Valley team, the construction of this item is top notch. The design itself is extremely simple, yet elegant. It’s quite easy to install onto a NICE frame, with the ITW buckles. Once properly installed, the MEAN pad looks like it belongs there. Despite a pretty busy schedule lately, with the arrival of my beautiful daughter, I’ve been able to fit the MEAN Pad to my Wolf Alpha and take it for some long distance training walks. It works quite well to adjust the angle of the frame and how it interacts with the wearers body. 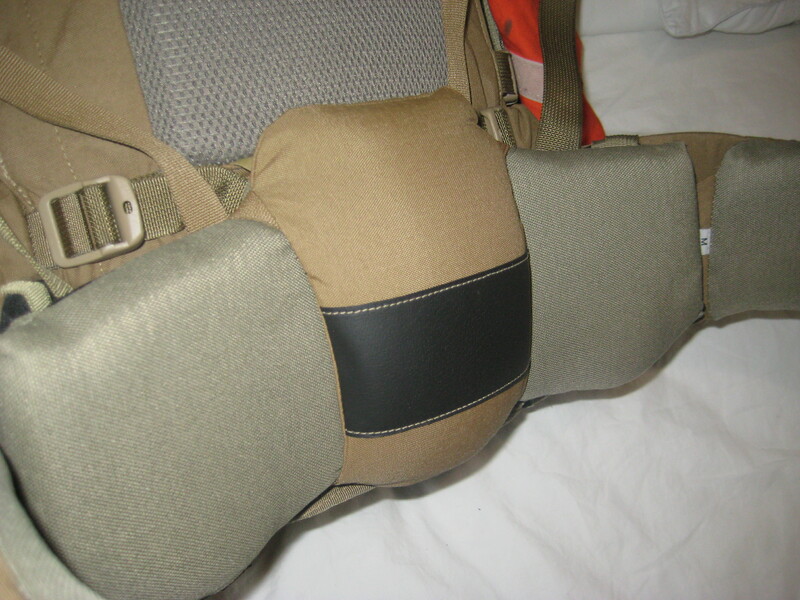 For some people, and the way that their body is built, this extra padding in the lumbar pad is a necessity to ensure the right angle for the way the NICE frame and harness interacts with the body. 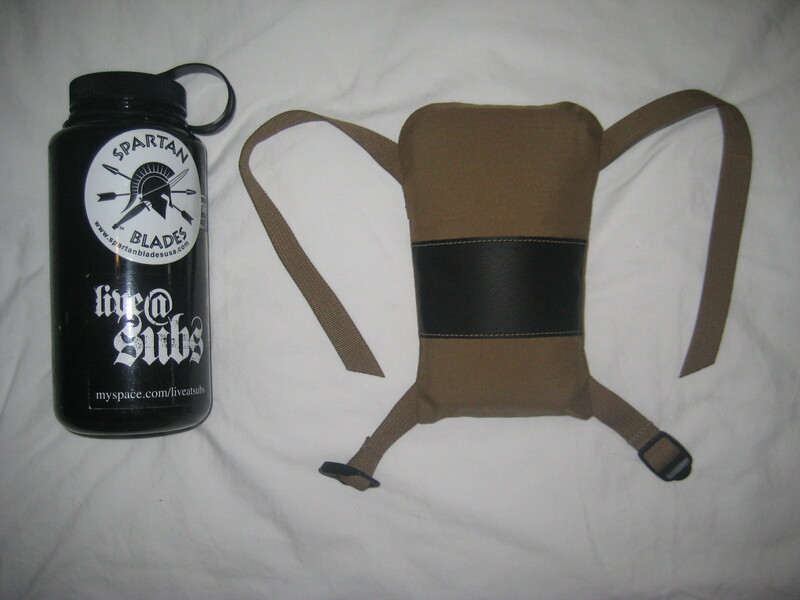 The MEAN Pad could also be a very good accessory for those who are forced to wear combat body armour whilst marching long distances. 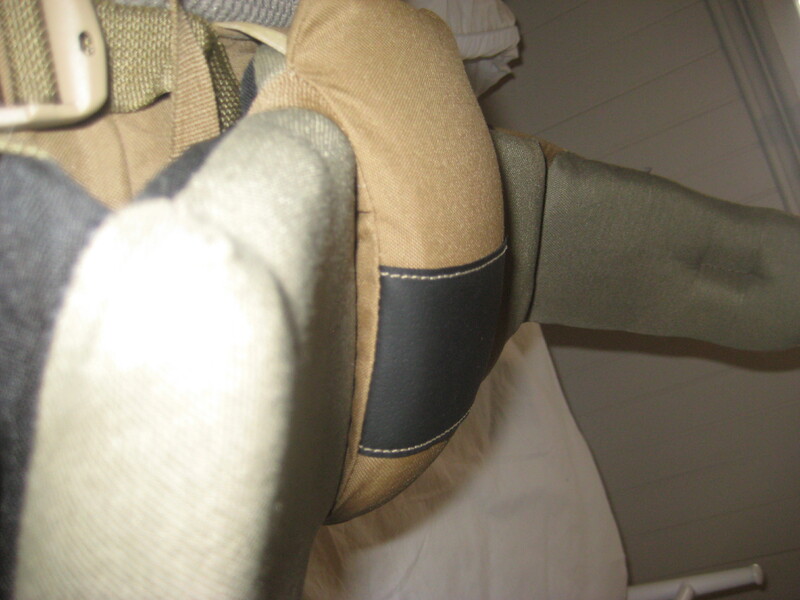 It was during my review period with the Load Lifting Panel also from Oneiros Valley (review HERE) that combat body armour would have problems interacting with the lumbar pad on the NICE frame. The MEAN Pad answers this interaction problem, and would be worth investigating further if wearing combat body armour was an essential part of your usage requirements. A very high quality item from this young, up and coming company. As per usual, the team at Onerios Valley have seen a need for aftermarket accessories, and have stepped up and answered with a very nice, simple and elegant product. 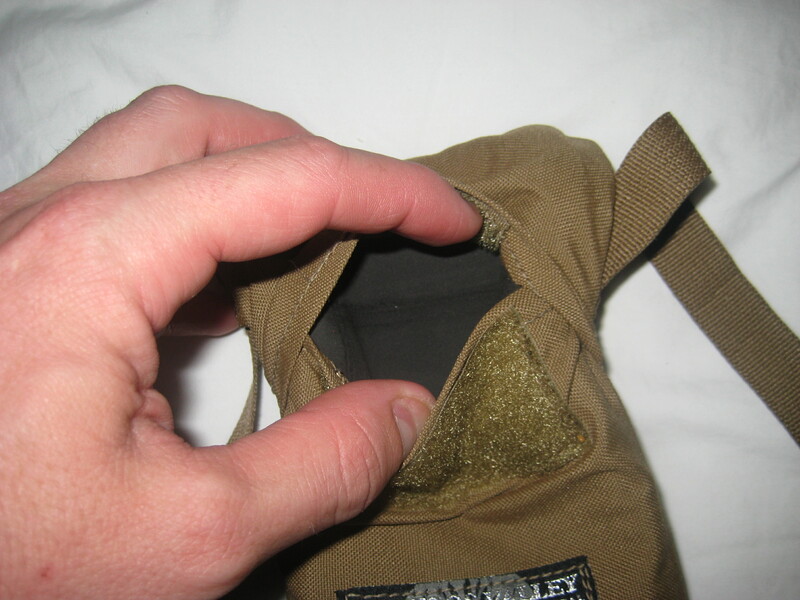 Very simple design that allows the end-user to change the foam padding as needed or when it wears out under adverse field usage. As an accessory, the MEAN pad can add weight (little that it actually is) and complexity. I’m wondering if there is a chance of the MEAN pad slipping from the frame lumbar pad under very heavy weights or really wet, slippery conditions. Although it should be noted that the cut and design of the MEAN Pad is such that this risk is pretty low. This risk should be further minimised should proper care and equipment maintenance be conducted by the end-user on a periodic basis. Another interesting NICE Frame aftermarket accessory from the team at Oneiros Valley. It should be available to market sometime in the near future. Posted in Civilian, Custom, Long Range, Military, Miscellaneous Equipment by 22F with 6 comments. You’re right, I’m not a professional gear reviewer. I closely monitor the handful of people in the world who ARE fully paid gear reviewers and adventurers. Let me tell you, should they enter my AO, it’s going to be touch and go whether I let them leave without taking their place. I don’t get paid to head out scrub for weeks at a time anymore, such as when I was in the service. As a consultant in underground coal mining, I was able to take weeks off at a time and enjoy the great outdoors. Unfortunately, I’ve been made redundant form my dream job earlier this year. I now struggle to keep my family fed, food on the table and the bills paid as I’m now earning less than a quarter of my previous earnings in purely casual employment options that I haven’t had a need to perform since I was a student. Hence, this place and the efforts behind it, is a labour of love, and a measure to keep my sanity in what is proving to be somewhat dark times financially and professionally. It at least keeps me off the streets and out of gaol, thinking of the great outdoors I’d rather be out exploring. There is another, highly appropriate reason I choose not to carry this piece of equipment out in the scrub for weeks on end: the young men behind Oneiros Valley have done so well in the design of this MEAN Pad that it works EXACTLY as intended. It changes the interaction between the Mystery Ranch NICE Frame and the wearer. I’m one of these people that designers love: I’m perfectly average in build. I fit right into that “Medium” description. Hence, the MEAN Pad is completely superfluous to my requirements, because quite honestly, all it does for me is exacerbate old spinal injuries I picked up from the service – in short, the MEAN Pad works that well. If you really do require hands on, long term experience of this item of equipment, perhaps I could suggest approaching the Oneiros Valley team and offering your services for review? I’m a big believer in encouraging anyone to do the same as I have, to start writing or sharing their experience to give the consumer more points of view in their quest for equipment that better suits their needs. Thanks for your follow up Mick. For your info, I am a writer and I do gear reviews all the time. I found this review from Oneiros web page, and I was hoping to find a solid review of a cool piece of gear I have been wanting MR to make for a long time, but it was not the case. I am not sure how you can make the claim that “it works exactly as intended” if you have not spend a few hard miles using the product in a variety of different weather conditions and weights in the pack. If I were you, I would change the title to “overview….” or “First look…..” It would be more suiting to the experience you have had with this product. Thanks for your input, champ. As someone who has recently returned to the infantry after a long break, your site is a key point of reference for kit selection. 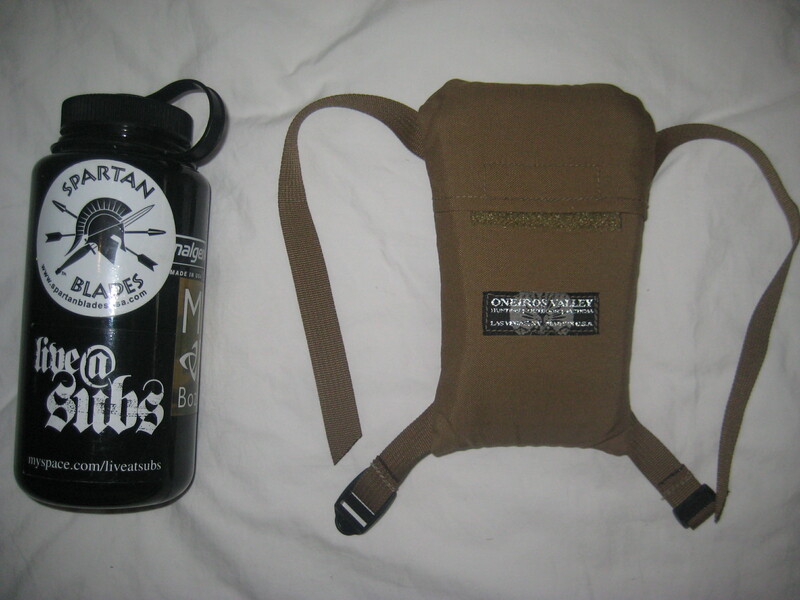 For what its worth – there have been “…a few hard miles” using the products I’ve purchased based off your site in a “….variety of different weather conditions and weights in the pack” – so far all good. In the case of the Oneiros Valley MEAN Pad you’ve provided exactly the right info in order to enable a considered decision on this product. Also, for USD28 (at the time of writing) it’s not too much of a risk / reward issue. Good to see that you’ve kept your sense of humour – keep up the excellent work. Thanks for the comment Karl! Sometimes, it’s really hard to gauge how these reviews are going, and whether they’re even useful to people! Best of luck mate, and thanks again!